Last week we covered “Branding in Marketing” and also covered a case study of an entrepreneur who thought “Branding” was not important enough and lost his investment in his business. 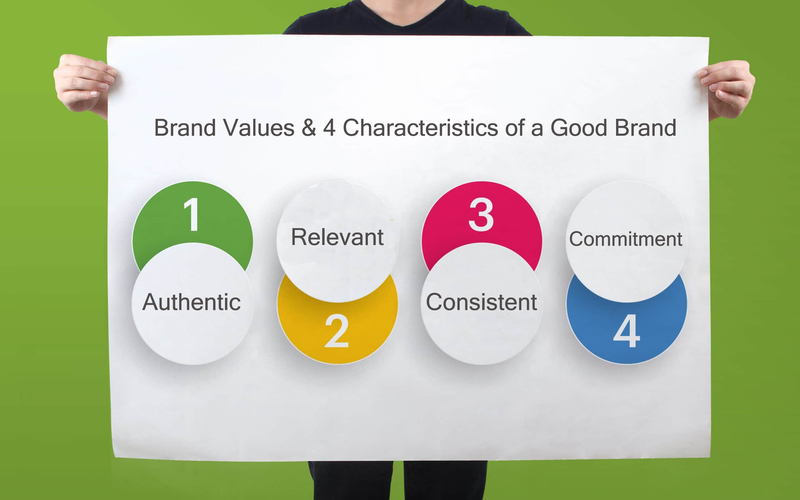 This Week we will cover Brand Values & 4 Characteristics of a Good Brand. Brand Values are not the same as Brand Equity. Brand Values are Functional, Emotional or Strategic parameters that define your brand. These are defined by the business and are a must-have for the successful brand building. Brand Values summarise how often people will buy that brand and for what reasons do they buy it. Brand Values create a distinction between your brand & your competitors as they will define whether your values actually match with your target audience’s values. Also, Brand Values are important to build loyalty at work too. If your employees think their values actually resonate with your brand values they will stick with your company longer. Some Examples of Brand Values could be Quality, Value for Money, Innovation, Convenience etc. 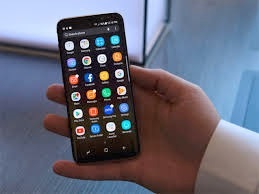 Smart Phones or Devices promise an improvement in Quality of Life by letting you always be connected with your friends, family, loved ones & the outside world. Companies like Tesla promise their customers Innovation – it could be the latest technology in cars or SpaceX services. What could be some of your Brand Values? Let us look at the 4 Characteristics that if used properly can help build Successful Brands. A Brand is just like an individual – is unique. Don’t try to imitate an existing brand or a competitor’s brand and try to rip off a part of their brand values to create a brand for yourself. Authenticity will help you create Genuine Followers & Customers. If you try to be something else – people will be able to see right through it. So, create Brand Values that share your core values which will build authenticity. 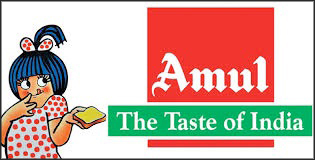 Amul is a 71-year-old brand and always manages to create a stir by its small iconic cartoons that you can find in the newspapers which covers the current events. They always keep their communication “Sarcastically Funny” but mostly towards the positive side and has not been dragged into many controversies over the years due to the expression of the cartoon. They stay true to the core and thus are authentic, increasing the trust of the consumers in the brand. A Brand is not a static entity it has to consistently evolve over the period of time and has to stay relevant to the current times. Make sure you understand the shift in your consumer’s thought process so you can change your communications to reach out to them appropriately. One good example to showcase a brand that has not been relevant to the current times is “Youtube”. 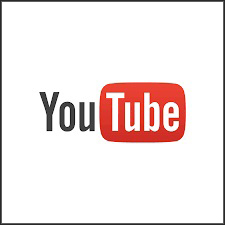 Youtube has started out to be a platform that content creators can use to upload their creations and the general public could access the platform and get entertained. Their model has not changed much over the years. Not many people know that Youtube also has “Movies” that can be rented or bought out from the platform to view with different prices for different quality streaming like “SD”, “HD” etc. When Netflix came into existence the whole industry of “Viewing Content” changed, though youtube still paved the way to build an audience Netflix built a commercially viable model to stream curated content to people willing to pay for the same. If Youtube wanted they could have easily become the number 1 in the market for curated content but they just did not see the opportunity and thus lost relevancy to the current generation who does not watch anymore they just “Netflix” it. Brand Building does not happen overnight, it’s a slow process that needs to be managed carefully and consistently. Each touchpoint that you have with your prospective customer or existing customer, each product that is being manufactured or sold, each end product or service delivered has to be consistent. You can not deliver an exceptionally great end product one time and send a substantially lower quality one the next. Consistency is the key to a great brand. 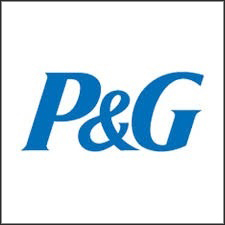 P&G is a 180-year-old company and is still the most trusted brand due to its consistency in creating great brands and delivering on the promise of quality every time. They have 70 – 90 odd products in the Personal Care & Home Care segment and although they added new products like “Gillette” they always made sure that a quality product was delivered to the customer every time there was a purchase. Just like in every relationship, brand building is a commitment driven endeavour for the businessman. In the above section we have discussed Brand Values, once you have decided on the brand values make sure you, your employees, your vendors are all committed to them. Don’t over promise & under deliver – in a connected world such as today bad reviews can spread like wildfire so make sure you acknowledge your commitment to your customer & always deliver on it. Not many people know about this but Domino’s was the first pizza company that came up with the tagline “30 Minutes Delivery Otherwise free”. This is a world when ordering pizza was new and took anywhere from 45 minutes – 1.30 hours. 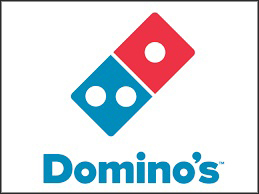 This was a commitment that Domino’s was willing to make to it customers and there were instances when due to bad weather conditions or a new delivery boy sometimes the pizza delivery time was missed out but they ensured that in such cases those pizzas were not charged to the customers. Next Week we will cover “5 Steps to Build a Brand”. Hope you have enjoyed reading this week’s blog – we would love to know about your businesses & your brand values so leave us a comment below.